Recorded as from Provincetown, Massachusetts. (Clifford Harrington, Walcliff Antiques, city unknown), by whom sold in 1951 to Edgar William and Bernice Chrysler Garbisch; by bequest to NGA, 1980. 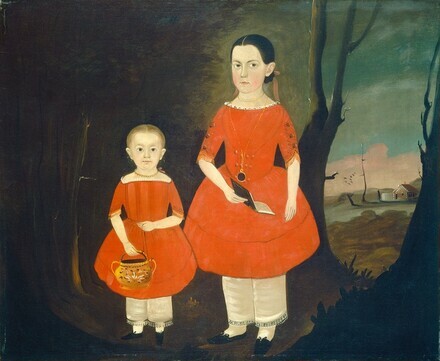 American Primitive Paintings from the Collection of Edgar William and Bernice Chrysler Garbisch, Part I, National Gallery of Art, Washington, 1954, no. 46. American Paintings: An Illustrated Catalogue. National Gallery of Art, Washington, 1992: 191, repro. Chotner, Deborah, with contributions by Julie Aronson, Sarah D. Cash, and Laurie Weitzenkorn. American Naive Paintings. The Collections of the National Gallery of Art Systematic Catalogue. Washington, D.C., 1992: 167, color repro. 169.